This episode is definitely one of the most hyped ones of Season 4. Why is that? Because it would be using the voice of famed musician “Weird Al” Yankovic. 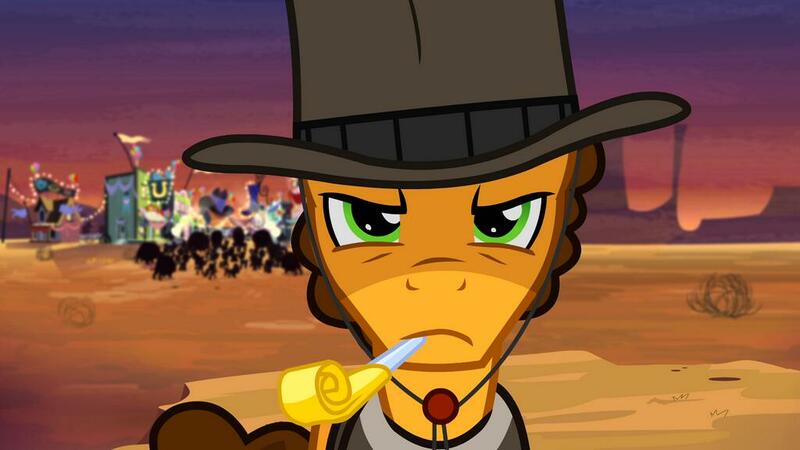 Last week’s episode was a lot of fun because Discord never gets old. 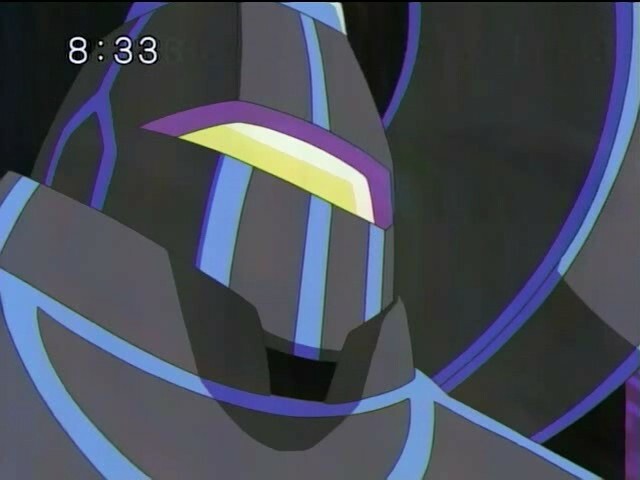 (Plus who didn’t love the Tatzlwurm battle?) Besides the guest appearance, this is also the first Pinkie Pie episode. She’s been written less than stellar lately, so hopefully she would be written well enough here. It’s also the second musical episode, after ‘Magical Mystery Cure.’ ‘Pinkie Pride‘ is a really good episode and a very nice look at Pinkie Pie as a character. Pinkie Pie must defend her status as a party pony when a mysterious visitor comes to town and plans a party for Rainbow Dash. Amy Keating Rogers might be my favorite writer. She’s written some of the show’s best, such as ‘Bridle Gossip‘ and ‘A Dog and Pony Show.’ But her very best episode is the Season 1 finale, ‘The Best Night Ever.’ ‘Pinkie Pride‘ is definitely another one to add to her book. 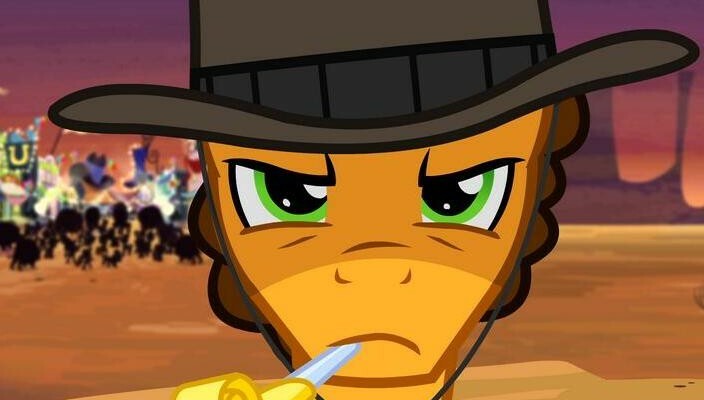 The opening nicely establishes Cheese Sandwich (Weird Al) as a mysterious and very cool pony. Cut to Ponyville where we hear the very first song, ‘Pinkie the Party Planner.’ It’s truly fantastic, I’d dsay Pinkie Pie’s premiere song after the ‘Smile Song.’ So, what party is she holding this time? It’s actually Rainbow Dash’s birthday and anniversary since she entered Ponyville, or as Rarity calls it, “birth-iversary.”It’s here when the action begins. Cheese Sandwich is definitely one of the best ‘new’ characters to the show. Obviously that’s thanks to Weird Al, hopefully he will return down the road. 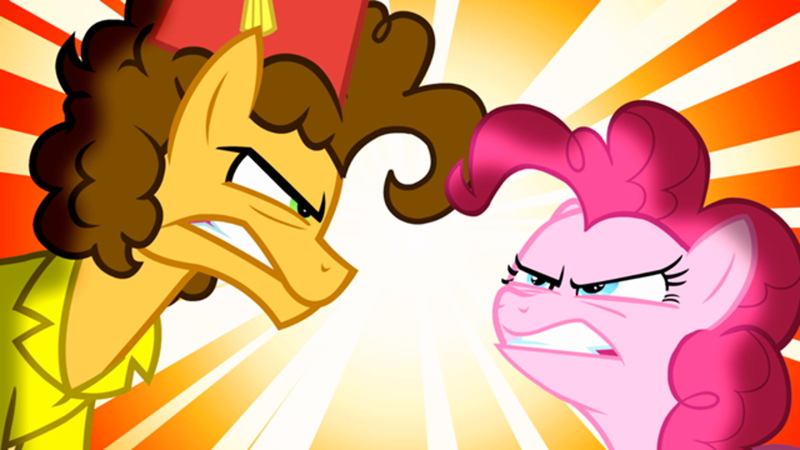 He and Pinkie make for an incredible team, and rivals. Their ‘party battle’ was very entertaining. Now the question is: were the ponies, namely Rainbow Dash, mean to Pinkie? They kinda ditched her when Cheese came. I think it perhaps took too long for them to realize that it hurt Pinkie’s feelings. But it was played well enough to avoid hurting the rating. Overall, ‘Pinkie Pride‘ is a pretty great episode. The songs are a lot of fun and Pinkie is at her finest. Amy Keating Rogers rarely fails to deliver a quality watch. Cheese Sandwich is a fantastic character, I hope he pops up again down the road to perhaps sing another duet with Pinkie.